The European Commission has decided not to impose provisional duties on Chinese solar panels but plans to continue its anti-subsidy investigation. China and the European Union, following six weeks of talks, defused their biggest trade dispute last week with a deal to regulate Chinese solar panel imports and avoid a wider war in goods from wine to steel. In parallel to that anti-dumping probe, the European Union's executive arm also launched an anti-subsidy investigation into solar panels, cells and wafers from China in November last year and had nine months to decide whether to impose provisional duties. The Commission chose not to take provisional measures but it has until 5 December to decide whether to impose definitive anti-subsidy duties. "The investigation will continue without provisional measures and the Commission will continue working actively on the case in order to arrive [at] definitive findings that are due at the end of this year," the Commission said in a statement on Wednesday (7 August). The Commission said its decision not to impose any provisional anti-subsidy measures did not prejudice any subsequent decision at the final stage in December, after consulting interested parties. The EU trade chief and his Chinese counterpart agreed on 29 July to set a minimum price for panels from China near spot market prices. European solar panel makers have accused China of benefiting from huge state subsidies, allowing them to dump about €21 billion worth of below-cost panels in Europe last year. The EU had planned to impose hefty tariffs from 6 August but, wary of offending China's leaders and losing business in the world's No. 2 economy, a majority of governments, led by Germany, opposed the plan, allowing for the compromise deal. Europe is China's most important trading partner, while for the EU, China is second only to the United States. Chinese exports of goods to the bloc totalled €290 billion last year, with €144 billion going the other way. Milan Nitzschke, president of EU ProSun, a trade group representing solar manufacturers, said in a statement: "The Chinese communist government subsidies the production and export of solar modules with billions of euros, which allows Chinese manufacturers to offer products for dumped prices over sustained periods. Market-based companies have no chance against such tactics. China’s destructive dumping and illegal subsidies have already cost thousands of European manufacturing jobs. 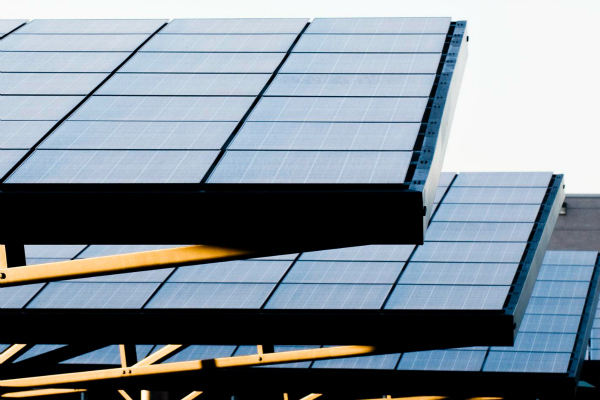 We know from our own calculations that the subsidy percentage in Chinese solar products is a double-digit figure, and expect the European Commission reaches similar findings."